See how our customers are using our customizable lightboxes and widgets to get more clicks, leads, and sales. Crayola knows that coloring pages are highly coveted by the parents who visit their site. With Digioh’s Power Editor, Crayola is able to create a brand-compliant lightbox that offers free coloring pages in exchange for an email address. 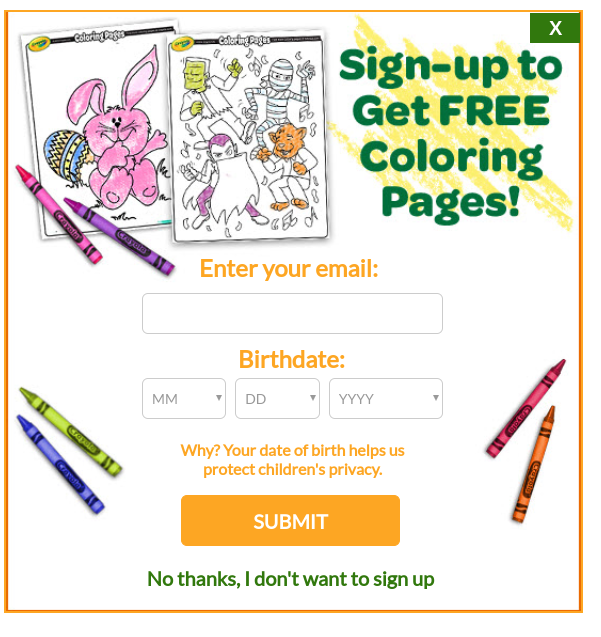 Crayola uses Digioh’s birthdate field to screen out any potential subscribers under the age of 13 (to protect their privacy). Digioh’s conditions editor allows customers to fine-tune who gets to see their lightboxes, leading to higher conversions and happier visitors. In this case, Crayola uses conditions to prevent the display of this lightbox to engaged and active subscribers (as identified by UTM parameters). How well is this working? The results speak for themselves: this lightbox is converting visitors to subscribers at a rate of 4.64%. Soylent captures website visitor email addresses with Digioh’s one-time-use coupon feature, coupled with exit-intent technology. Digioh’s targeting options allow Soylent to specifically target visitors who arrive through organic search. 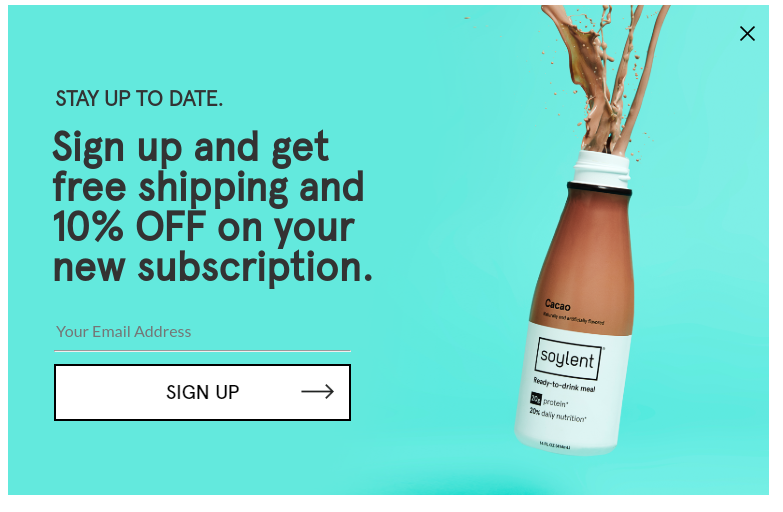 Instead of showing the same coupon code to each new subscriber, Soylent gives each person a unique coupon code, that can only be used once. This prevents coupon sharing or coupon abuse. 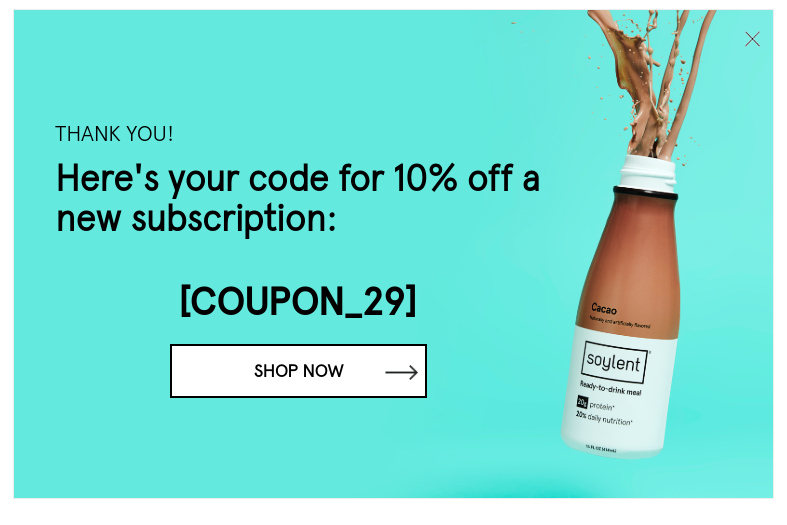 By offering an enticing coupon, Soylent is able to capture the email addresses of website visitors before they exit. WhatToExpect.com uses inline widgets to subtly direct website visitors to registration pages or app downloads. Digioh’s targeting options allow them to select exactly which devices to target, getting higher click-through-rates in return. This simple and clean inline widget displays on desktop and leads to an email registration page. It works very well, redirecting 2.2% of all visitors to the registration page. 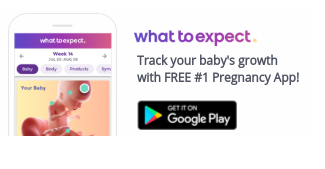 This app download widget displays specifically on Android devices, and encourages expectant moms to download a growth tracking app. 2.9% of the visitors end up clicking the link to download the app. The Salvation army took advantage of Digioh’s Dynamic feature for its “Giving Tuesday” campaign. Any lightbox element (text, URLs, images, HTML and more) can be dynamically populated. This way, each website visitor can be shown relevant and personalized content. 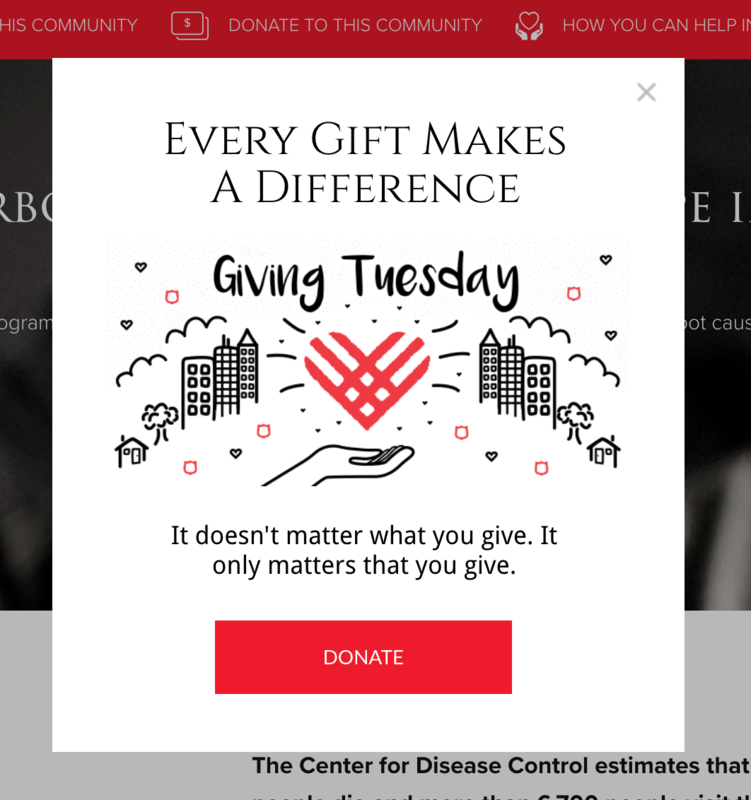 In this example, the Salvation Army dynamically populated the Donate button URL with the correct donation URL for each website visitor’s geographic region. The Salvation Army used Digioh's dynamic content editor (shown below) to create these dynamic URLs. Here, the location (Source Value) “Alma” was pulled from the page URL. The button URL was then populated with the corresponding donation URL for Alma (in the Target Value section of the Dynamic Editor). This way, visitors’ donations to the Giving Tuesday campaign were automatically directed to their local Salvation Army.